Home ⁄ Tech News ⁄ Introducing QR Code in bus, train, launch and plane ticketing. Assalamualaikum everyone. I hope everything is going well by the grace of almighty Allah. Today I’m going to share with you guys a new business idea that I hope brings new potentiality in Bus, launch, train and plane ticketing system. We are familiar with the ticketing system that is an old system. For traveling by bus, launch, train and plane ticket is very important for every passenger to travel to and from. Everyone needs to print a copy of his’ purchased ticket to board in the bus, train, launch and other vehicles. Famous company has printed their own ticket and hand over to the customers when customer placed n order. Ticketing system in service for long time and the demand is not less as yet. But technology achieves a new level that cans improving day by day. Everyday around the world millions of traveler travel across the world and obviously they use bus ticket, plane ticket, train ticket. It is time to change our old system and introduce new way of ticketing. Hundreds of million tons paper used every year for ticket printing and how much trees would cut for these is beyond our imagination. So, for our better future and for sustainable environment we need to think differently than before we did. In this 21st century world everyone using smart mobile phone and company tries hard to reach new users every moment. The rate of mobile and internet use increase rapidly. So there is scope to say that everyone has not Smartphone or internet access to use this service. In this time internet become basic needs for human life and government and private company word together to provide better internet service to its citizens. Tourism is the 21st profitable business around the world and this area is spreading very fast because peoples are very curious to know new place and experience new sun from new land. They traveled from one corner to other corner of the earth to find peace and harmony. When they go outing they must vehicles and obviously used tickets (printed version of pass card). In Bangladesh, 160 million peoples live here and how many of them traveled everyday are just try to imagine. We need to think for our environment. We need to save our trees and our forest. Printing tickets need to producing paper which is essential element for printing tickets around the world. Company spend million million dollar for this purpose that can save only introducing some new tech based service. QR code is one of them. It can revolutionize the whole system and give smooth service to the passenger without any difficulties. Shohoz is the most popular online ticket seller in our Bangladesh and it is doing very great in this respect. In fact, Shohoz makes the system affordable and hassle free. Peoples nowadays feel comfortable buying tickets from online when they are planning to go somewhere. And Shohoz is their first choice obviously. 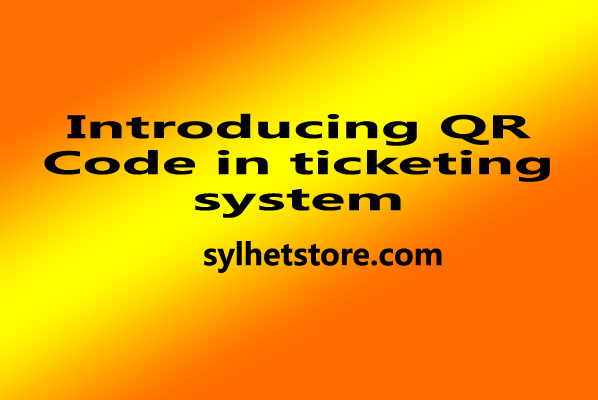 I would like to tell that Shohoz can introduce QR code ticket system in the present market. Shohoz has the largest coverage and has the most bus operator in its system. It can only [possible by Shohoz because Shohoz has the resource and infrastructure. some other company/seller can introduce it but who is introducing it fast will be one step ahead from others. The key idea is as below. When a passenger buys a tickets from online or from authorize Shohoz outlet. He can get QR code pfd file in his/her mobile phone. He does not need to bear this as a printed copy. He just keeps it on his phone. QR code describes all information about the passenger which a printed copy generally presents. A simple app can develop for this purpose to scan the QR code for the supervisor of the bus, launch or train operators. Passenger will show the printed QR code to the supervisor and the supervisor scan it and confirm his identity. Huge amount of paper saved. Huge amount of money for printing also saved. Environmental as it does not need to print paper. Storing and bearing tickets is not required. Whole thing can be monitored with an app. It is very good idea and can be introduced within a short time. Peoples from today’s world want simplified service in every sector. I hope Shohoz can earn the customer’s trust to introduce this new technology and provide customers a new experience of ticketing in Bangladesh. follow me on Facebook, twitter and Instagram. search awladh07 and i’m get back in short time.